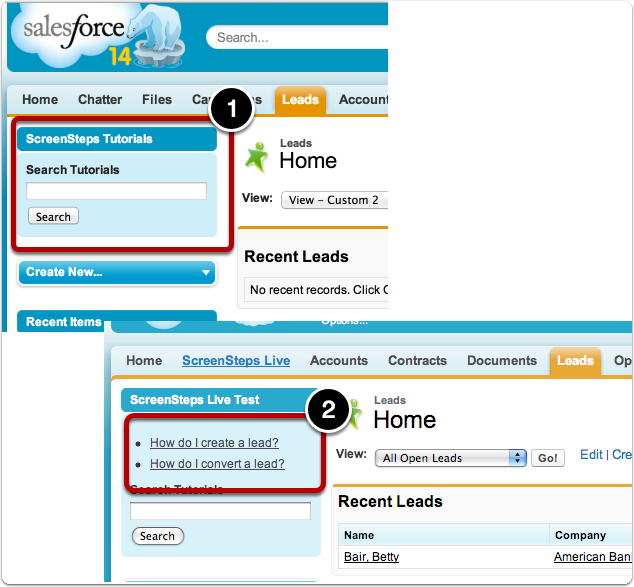 If this is what you would like to do, follow the instructions here: Installing ScreenSteps contextual help for Salesforce Classic. The Chrome extension is a pretty nice upgrade from the Salesforce Classic contextual help. The Chrome extension can provide contextual help for any cloud application––use it with Lightning or Classic (great if your company has different departments using one of each). Also, if any of your coworkers use other apps other than Salesforce, such as NetSuite, Xero, etc. you can provide contextual help for those apps as well. As you can see, the Chrome extension shows the entire content of the article in a sidebar so that users don't have to navigate away from Salesforce while performing a task. If this is what you'd like to do, follow the instructions here: Install the Chrome Browser Extension.